Starting a real estate business or selling property? If you’re looking for insightful real estate information you’ve come to the right place. We selected the blogs which regularly provide knowledgeable content for both the novice and experienced real estate professionals. These real estate experts offer a wide array of advice such as investing in real estate, property management tips, and unique ways to generate leads. In 2018, we know you are looking for the best content and Fit Small Business is happy to guide you to it. Favorite Recent Article: How to “Day Trade Attention” with your CRM the Gary Vee way: The buying and selling of attention — or what Gary Vaynerchuk calls “day trading attention” — can be summarized as how to earn people’s time. Here’s how to leverage your CRM to engage with prospects and win attention (and business) like a boss. About the Blog: BoomTown covers the latest in real estate trends. This includes marketing, and technology. 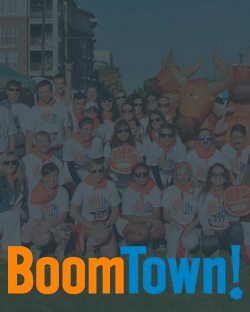 If you want current industry information check out the latest coverage by the BoomTown team. Favorite Recent Article: 5 Real Estate Investments That Can Help You Retire Rich: Nearly 45% of the working-age households in the U.S. don’t have any type of retirement accounts. The key to avoiding a potential retirement crisis is to start saving early. At the same time, it’s important to invest your retirement funds in assets that can outgrow inflation while offering portfolio security. Real estate is one of the potential investment options you can look at. 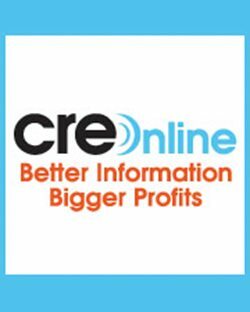 About the Blog: CRE Online Real Estate Investment News & Blog – Your #1 source for real estate investing information since 1995. Bookmark this page and check back often. Favorite Recent Article: What is Dual Agency: Why Buyers and Sellers Should Avoid It: Dual agency is a term used to describe a situation where one real estate agent represents both the buyer and seller in a real estate transaction. Dual agency is one of the worst situations ever allowed in real estate sales. In fact, some states have banned dual agency. When a consumer enters into a dual agency agreement they give up representation from their agent. The real estate agent becomes a neutral party representing neither the buyer or seller exclusively. The consumer no longer has an advocate in their corner fighting for their best interests. About the Blog: Maximum Real Estate Exposure is quality content with the purpose of helping both buyers and sellers make sound financial decisions. The blog covers all sorts of topics surrounding buying and selling real estate. Favorite Recent Article: How to Invest in Real Estate: The Basics: For many investors, real estate is uncharted territory. But just because real estate may be unfamiliar doesn’t mean that it should be avoided. Here are the fundamentals of real estate and how to invest in real estate for beginners. 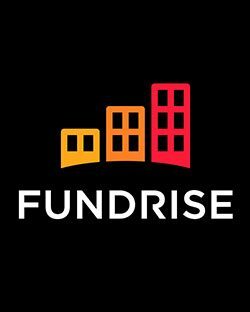 About the Blog: For the past three years, the Fundrise Education Center has published regular, valuable content for investors, particularly as it relates to real estate investments and market trends. 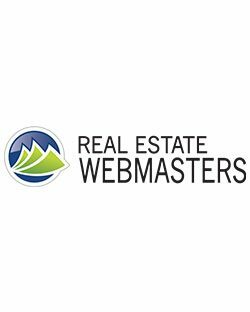 Favorite Recent Article: 10 Real Estate Website Opportunities You Can’t Afford To Miss: This article centers around the 10 things you can be doing with your real estate website to make it more attractive and keep readers on the page, such as embedding videos and updating pictures for current listings. 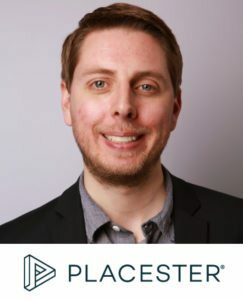 About the Blog: Placester’s Real Estate Marketing Academy offers real estate professionals at every skill level a deep dive into the day-to-day mechanics of marketing a real estate business in 2017. Favorite Recent Article: A Commercial Real Estate Deal is Really 3 Negotiations: The post centers around the two additional negotiations that take place after a deal is agreed upon. About the Blog: The blog is designed to provide advice to owners and occupants of commercial real estate regarding their operating locations. The content is republished with permission at The News Funnel, The Broker List and The Orange County Register among other publications. Favorite Recent Article: What You Need To Know About Owning A Tiny House: The aim of this article is to provide detailed information about the tiny house movement to assist consumers who are considering building or buying a tiny home. While not for everyone, there are many who seek information about these homes. Hopefully this article meets their expectations. Favorite Recent Article: 9 Things to Consider Before Selling Your House: When selling their home, these are 9 things that homeowners may not have thought about. 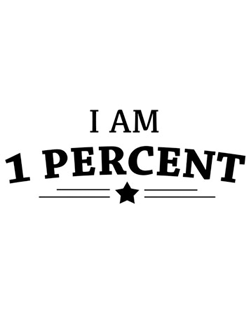 About the Blog: Practical tips on how to make it into the 1 percent of earners in America. This blog contains updated articles related to real estate home owners and renters, credit card usage, personal wealth management and more to improve both lifestyle and asset management. Favorite Recent Article: The Real Estate Sales Cycle: All real estate leads are NOT created equal, but they are all worth getting. The key is understanding where the buyer/seller is in there personal Real Estate Sales Cycle – and incubating appropriately. Most experienced real estate agents and brokers are well aware of this – but just don’t quantify it and put it into practice with lead follow up. There is no shortage of Leads…There is a Shortage of Conversion. 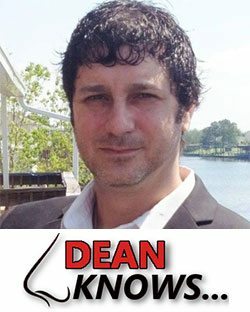 About the Blog: The DEAN Knows Real Estate Marketing Blog provides critical insight into enterprise level Digital Marketing for real estate. As real estate SEO experts, we generally focus on SEO as the most profitable aspect of real estate marketing, with Social Media Marketing, Google Pay Per Click and Lead Flow Systems all working in concert to achieve market dominance and provide a ROI. Favorite Recent Article: How to get real estate buyer leads online: This straight-to-the-facts guide teaches Realtors how to get more buyer leads using digital marketing strategies. It walks through basic content creation, talks about the 3 best ways to drive traffic to a site, and then shares the optimal follow-up routine for converting those fresh new leads into bona fide clients. About the Blog: The REW blog features posts by real estate industry leaders and subject-matter experts. We help Realtors use technology strategically to build new client relationships, increase commissions, and grow businesses. We talk a lot about online marketing, lead generation, and lead conversion, with a focus on tech-based strategies that are proven to provide a positive ROI. Favorite Recent Article: What’s the Best Time to Sell a House? : One of the most common questions people have when selling their home is, when should I list the home for sale? This is my favorite recent article, because it breaks down the process of how to answer this question for your local market using the data. By using the data and looking at historical information, the home seller can make an objective decision and not just take someone’s word for it. About the Blog: At Realest Blog, you learn the ins and outs of real estate. Whether you are buying, selling, renting, or already own, you can find tips to help you through it all, right here. Favorite Recent Article: How I Have Been Able To Buy 30 Investment Properties This Year:This article explains how I was able to buy 30 properties in 2017 (actually 31 since I bought another right after this was published). I bought 27 flips and 4 commercial rental properties. 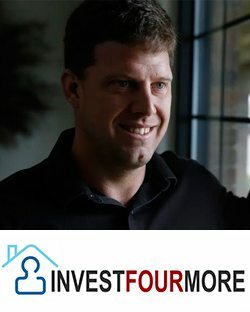 About the Blog: Invest Four More was started in 2013 to discuss Mark Ferguson’s real estate investing. He currently owns 16 rentals now, but had 5 when he started the blog. Mark also fix and flips 10 to 15 houses a year and runs a real estate sales team of 10. 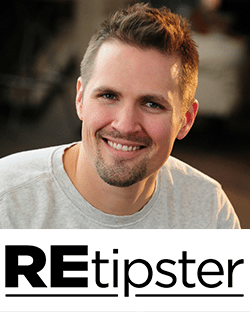 He write articles about rentals, fix and flips, being a real estate agent and many other real estate related topics. Favorite Recent Article: Why These 8 Trends Will Dominate Real Estate Marketing and Lead Gen in 2018: This article discusses eight disruptive trends in real estate for 2018 to watch out for. It goes into detail on how brokers will form even closer bonds with agents as well as how mobile will matter. About the Blog: The Close is a new kind of real estate site designed to give agents, teams, and brokerages actionable, strategic insight from industry professionals. We cover real estate marketing, lead generation, technology, and team building strategies from the perspective of working agents and brokers who want to take their business to the next level. Favorite Recent Article: 50 Websites to Post Your Real Estate Listings for FREE: This blog post provides a huge list of websites that allow you to post ads for the properties you’re trying to sell or rent out. Even if you only utilize the first few websites on this list, these online platforms will give you a great deal of marketing exposure for free. About the Blog: The REtipster Blog is a massive library of content that offers real world guidance for part-time real estate investors. The site is filled with in-depth video tutorials, comprehensive reviews on the industry’s most well-known software and online tools, interviews with other active real estate investors and a lot of other niche specific education for aspiring land investors, landlords and wholesalers and more. Favorite Recent Article: Top 7 First Time Home Buyer Mistakes You Need To Avoid: Buying a home for the first time can be a very confusing experience for many first timers. Unfortunately it’s common to see first time home buyers make mistakes that could be avoided, if they were aware of some of the common ones! In this article you’ll discover 7 of the most common first time home buyer mistakes! 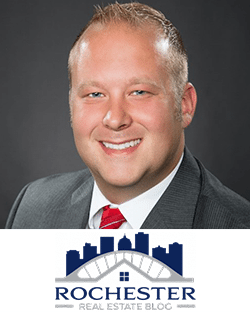 About the Blog: The Rochester Real Estate Blog is run by Kyle Hiscock, a Pittsford NY Realtor with RE/MAX Realty Group. The Rochester Real Estate Blog, in 4 short years, has been recognized as one of the top real estate blogs to follow according to numerous websites and organizations. Since being launched in 2013, the Rochester Real Estate Blog has published more than 150 unique articles pertaining to real estate, social media, and the Greater Rochester NY area! Some of our unique articles have been shared thousands of times across social media and continuously rank on page #1 on Google! Favorite Recent Article: Real Estate Web Hosting Explained: If a real estate agent wants to create a self hosted WordPress website there are many choices for web hosting, most real estate agents do not have the information necessary to choose the best hosting option for the success of their business. This post helps explain the different levels of hosting service. 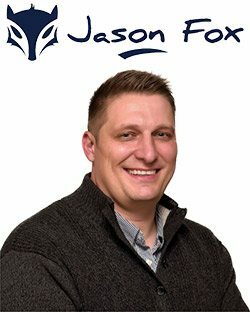 About the Blog: Jason Fox Real Estate Marketing is a DIY real estate marketing blog. The primary focus is on assisting real estate professionals with their online marketing. The blog also covers offline marketing. You will find posts on content marketing, social media, seo, WordPress, IDX, Product reviews, and more. They also a have free membership area with 100’s of ebooks, guides, templates, and how to videos. About the Blog: I’ve been writing a daily blog post since July 2007 in order to provide the information that current sellers and buyers of homes are seeking. The blog focuses on housing reports for the top Tallahassee neighborhoods, as well as providing anecdotes that relate to the behavior of buyers, sellers, and real estate agents. There are thousands of articles written over the past ten years (never missed a daily post in over ten years), so the prudent seller and buyer have a one-stop location for everything they need to know about selling and buying real estate in Tallahassee. 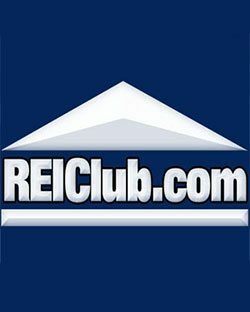 Favorite Recent Article: A Sample Real Estate Investing Plan That Works: In this post, Matt provides an outline of the REI Ace real estate investing plan and its nine profit accelerators. Anyone who masters the attract, convert, and exit strategies will have what it takes to become a badass real estate investor. 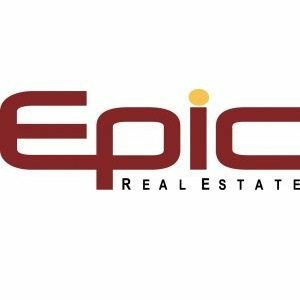 About the Blog: The Epic Real Estate blog is the central hub of Matt Theriault’s tried-and-true real estate strategies. By providing more free information than almost any other REI blog on the internet, Matt has drawn a lot of attention to his REI Ace Badass Investor Program, which teaches investors how to attract sellers, convert them into deals, and exit in the most profitable way possible. The blog is also an excellent way to access episodes from Matt’s podcast, The Epic Real Estate Investing Show, rated as the #2 Real Estate Investing Podcast and a Top 30 Business Podcast on iTunes. Favorite Recent Article: 3 Facts Most Homeowners Don’t Know About The Homestead Exemption: A homestead exemption is a property tax discount available in some counties that lowers a home’s value for taxation purposes. 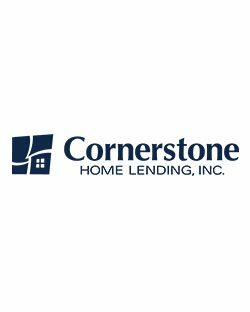 Our blog details who is eligible to apply for a homestead exemption, the deadline for applying for an exemption, and where it’s available in the U.S.
About the Blog: The Cornerstone Home Lending mission is to make a positive difference in the lives we touch, and that attitude extends to our blog. We strive to provide our readers— home-buyers, homeowners, and industry professionals alike—with timely and informative blog posts on all aspects of the home buying process, developments in the real estate and mortgage industries, and helpful lifestyle tips to make home-ownership easier. We regularly feature experts from different fields to share their knowledge and experience on a wide range of issues. Ultimately, our goal is to bring our audience accurate and practicable information to assist them during the home buying process, whatever their role may be. Favorite Recent Article: The 6 Musts For Any Real Estate Investing Business: this post offers helpful tips and advice for investors to be successful and grow their real estate investing business. About the Blog: Our blog is designed for real estate investors of all levels. Our aim is to keep investors up to date with new tools, investing techniques and current information for creative real estate investing. Our contributors are experienced investors and well-known national trainers. Favorite Recent Article: Lawrence Yun Responds: My favorite blog post is from today, and it regards the erroneous data being spread by the National Association of Realtors about the impact of our latest tax reform. The NAR has been saying for two months that home values will be dropping 8% to 12%, and I’ve been asking for their math. They provided it today, and of course it has faulty assumptions throughout. About the Blog: The blog began in 2005 as a device to warn potential home sellers that the real estate bubble was popping. It then closely documented the fall and rise of our local market primarily through YouTube videos (over 2,100 completed). 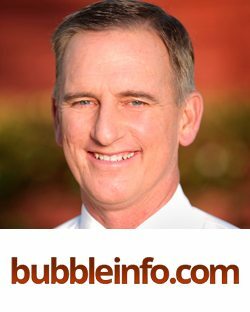 Bubbleinfo.com is now is an outlet for all to learn about the local marketplace through local market data, videos, and stories from the street. Favorite Recent Article: Why 2018 is the year of the Agent: This post details how 2018 is turning out to be an agent-centric year for real estate models and tools, concentrated on solo practitioners and their small teams, as compared to giant real estate companies. Favorite Recent Article: 5 Steps to Ease The Stress of The Sale of Your Home: Before you list your home for sale look at your house through the eyes of a buyer. Would you want to buy your house? What needs to be repaired or updated? Fix clean, update, and get the clutter you see outta there before you list your home. Selling a home is stressful, but you can ease the stress with these five simple steps. Favorite Recent Article: Buying a Home in 2018? 11 Tips to Get It Done! : A primer on what to expect if you’re considering a home or condo purchase this year, from home prices to mortgage rates and timing the market. 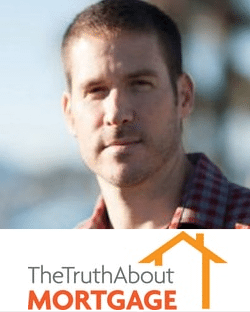 About the Blog: I created The Truth About Mortgage back in 2006, just as the housing market was peaking, to help existing and prospective homeowners better understand mortgages and real estate. The site evolved into a hybrid of industry news and advice, for both consumers and those who work in the industry. 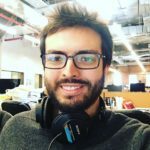 My goal is to provide unique insights and write about interesting topics you won’t find elsewhere. Favorite Recent Article: Should I buy an Investment Property or a House Hack? 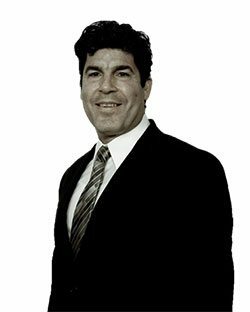 : As a real estate investor and syndicator I’ve been involved in many types of real estate investments. Bar none, the easiest technique with the most immediate upside is something I refer to as Luxury House Hack. 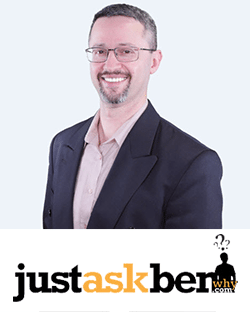 About the Blog: JustAskBenWhy blog takes an in-depth look at all aspects of real estate investing. There is plenty to learn for a seasoned investor looking to climb to higher ground of syndication, as well as a newbie looking for that first duplex. You will learn creative finance, property management, and general financial literacy. Favorite Recent Article: What if we Quit Setting Goals? : There are four main problems with setting goals the traditional way that ultimately make goal-setting ineffective. So what if we just stopped setting goals completely, and instead focused on our actions, rather than the results we hope to get? It’s a technique that has worked for me (and probably many other Type-A perfectionists out there). 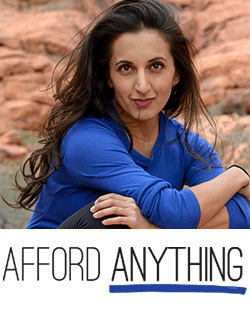 About the Blog: Afford Anything’s mission is to teach those people who know there is more to life than spending days in a cubicle, how to create the life they dream of without deprivation via real estate investing, freelancing, and smart (but simple) money management. And there’s a bit of humor in every post so it never gets boring, at least they hope not. Favorite Recent Article: Which Bidding War Strategies Are Most Effective? 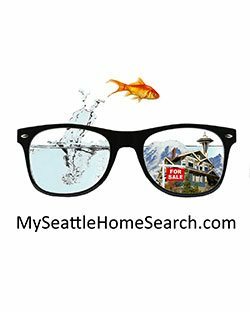 :Redfin used data collected from the last two years from their agents to track which bidding war strategy was the most effective in winning and buying a home in a competitive market. 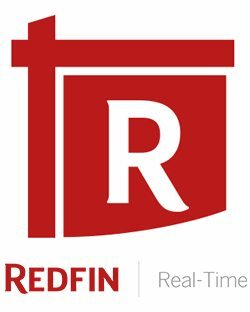 About the Blog: Redfin is a real estate brokerage that is on a mission to reinvent real estate in the consumer’s favor. Redfin Real-Time aims to support this mission by giving their readers a one-stop shop for everything they need to know about owning, buying and selling a home. They cover real estate on Wall Street, Main Street and your street, from interior design inspiration and celebrity homes to local news and easy-to-digest housing market updates. Favorite Recent Article: 9 Critical Question To Ask When Buying A Condo: This article discusses the important questions a condo buyer needs to research, ideally before making an offer. Buying a condo is a lot different from buying a house. Avoid post-closing surprises. 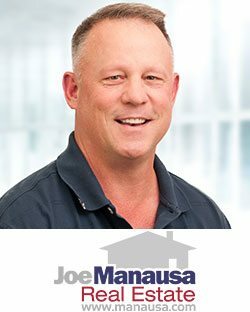 About the Blog: This Blog focuses on educating, and hopefully entertaining, both home buyers and sellers on all aspects of residential real estate with some straight talk and some light humor. Not adverse to having opposing views to that of the herd. 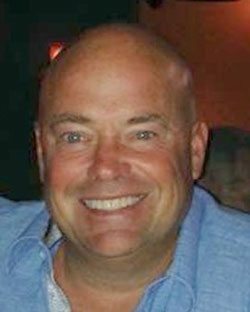 A mixture of national posts and Seattle area focused articles. Favorite Recent Article: A Brief History of the UK Housing Market Since the Global Financial Crisis: This post, almost a decade after the Global Financial Crisis, simplifies the complex ways the UK housing market reacted to the Global Financial Crisis, both organically and through regulation and encouragement. There is also an info-graphic timeline summarizing the changes. We love this post because it creates the context for other content on the blog, and is a reminder of the dynamism of the global property market. 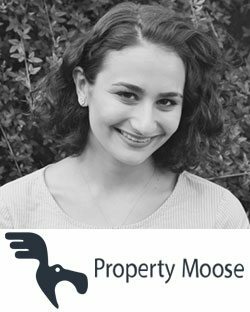 About the Blog: The Property Moose blog has one aim: to provide cutting-edge commentary and analysis of all matters related to real-estate. Whether we comment on regulatory and tax changes that will affect homeowners and property investors, or on the ways PropTech and FinTech are transforming the ways we invest, or on how property should form part of your pension pot, we are a news destination for property minded people. 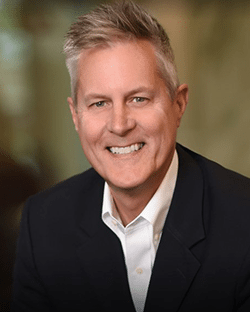 Favorite Recent Article: Historic Change in Tax Reform – What to Expect: Recently on America’s Commercial Real Estate Show, Michael spoke with several experts about the impact of The Tax Cuts & Jobs Act that was passed in December 2017. This blog post simplifies a complicated issue and provides a topline overview of the bill and what it means for commercial real estate. About the Blog: America’s Commercial Real Estate Show provides intelligence, forecasts and strategies to approximately 100,000 commercial real estate participants who watch and listen each month. The blog posts are based on the industry-leading content generated by the show. 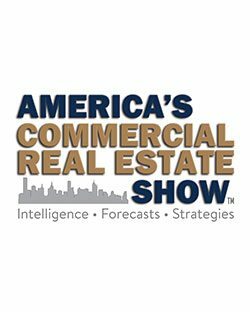 America’s Commercial Real Estate Show is extremely popular around the country and is available on the show’s website and major podcast systems such as iTunes. Show videos are also available on YouTube. Favorite Recent Article: Lessons from a Top Real Estate Agent: Cristina Grossu: Social media has been a powerful tool for the real estate industry. Many real estate agents have leveraged the power of social media to amplify their business. However, up until now, there hasn’t been a publication focused on exposing the success of real estate agents on social media.This post is part of a series showcasing the best agents on social media across North America. In this case, Cristina has thousands of followers on social media and a thriving real estate business. Our readers benefit greatly from reading about how she’s come this far using social media. About the Blog: The PropertySpark blog offers a variety of valuable real estate information for real estate professionals to leverage multiple social media channels. The content includes key social media tips & tricks for real estate professionals; insights from successful real estate entrepreneurs, teams and brokers; top real estate agents on social media in different cities; great lists of top properties on Instagram on a weekly basis and more. 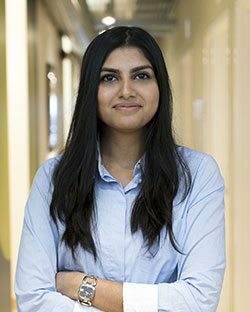 Favorite Recent Article: American Dream of Homeownership Delayed for Millennial Generation: Apartment List analyzed survey data from 24,000 renters and found that although 80 percent of millennial renters plan to own a home, affordability remains a major obstacle. Based on the current savings rates of those surveyed, Apartment List calculated the time needed to save for a 20 percent down payment on a condo, over 20 years in some metros. 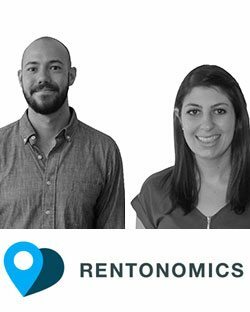 About the Blog: Apartment List’s Rentonomics blog is the go-to source for original research and data on the rental market. Our team of economists and researchers provide accurate, up-to-date rent price estimates and research studies on issues of importance to renters. Our data-driven research studies cover a range of topics including affordability, homeownership and renter satisfaction. Favorite Recent Article: A 3-Step Plan for Finding and Buying Your Next Home: This blog post details how to discover home listings, doing the paperwork for mortgage, and connecting with a real estate agent. 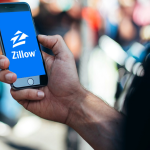 About the Blog: Zillow’s Porchlight Blog features articles and tips on how to buy your first home, connecting with real estate agents, accessing MLS listings and more. 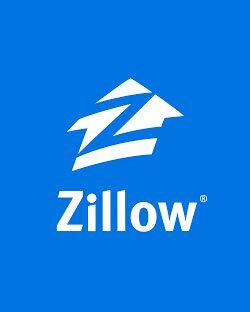 Zillow is the leading real estate and rental marketplace dedicated to empowering consumers with data, inspiration and knowledge around the place they call home, and connecting them with the best local professionals who can help. Favorite Recent Article: New York YIMBY’s 2018 Construction Report: New Building Applications Finally Stabilize After Two Years of Massive Drops: Covers the latest trends in New York City construction, real estate, and new development. About the Blog: New York YIMBY says “Yes In My Backyard” to new development in the Five Boroughs, and covers architecture, construction, and real estate from a pro-growth perspective. 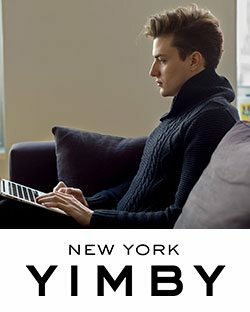 Founded by Nikolai Fedak in 2011, YIMBY is now one of the largest websites focused on real estate in New York City. Favorite Recent Article: How To Sell Your Home for the Most Money Using Digital Marketing: This blog post covers the most advanced forms of real estate marketing, such as drones, 3D tours, social media ads, and much more. This is a topic that is constantly changing and this article will help anyone get up-to-date with the current digital marketing trends for listing properties online. 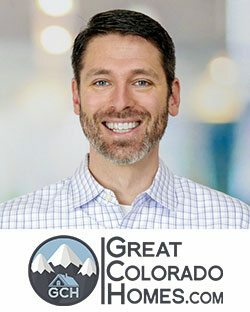 About the Blog: Great Colorado Homes loves digital marketing. It’s evident from each page on their website. Their blog is a major extension of their passion for great content. Many of their blog posts cover trends in the Colorado Springs real estate market and they explain common questions that most consumers have when they are buying or selling real estate. The graphics are designed to allow the reader to skim through the articles quickly to get the main points, with tons of extra knowledge in the paragraphs for those who want it. Favorite Recent Article: Learn these 4 Secrets to Boost your Home’s Value: When a homeowner decides it’s time to sell their home, they want to be able to sell their home for top dollar. My article zeroes in on important things a homeowner can do to sell their home for the most money. About the Blog: Selling homes since 2005, Real Estate is my passion; I love to sell homes here in Southeast Florida! My Real Estate blog provides advice for home Buyers, home Sellers and Real Estate Agents alike. 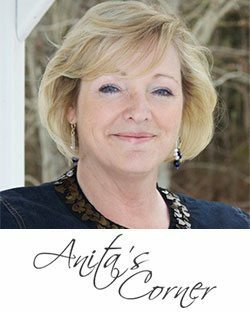 You’ll find many real life stories, with practical tips based upon my years of helping Buyers and Sellers. Much of the goals I strive for with my writing is in being able to make any Real Estate transaction as smooth as possible. I also like to provide articles that will help a fellow Real Estate Agent when I can, so the light can shine brightly on our Real Estate industry. Last but not least, I like to often add a bit of fun and creativity to my blog, so it stands out from the pack of other Real Estate blogs making for a fun and entertaining read. Favorite Recent Article: How to Buy a Vacation Rental Property in 6 Steps: This article is a breakdown of how to properly purchase a vacation rental property. It details importance of location, cost calculation and more. About The Blog: Fit Small Business has been producing real estate related content for quite some time now. Articles and guides consist of list with tips from professionals in the industry to reviews on products that aspiring agents would be looking into.We also have content on those looking to begin investing in property. Allison Bethel who primarily focuses on real estate investing is only one of our intuitive writers in the space. Thank you for sharing this list. I’m always looking to expand my industry awareness, with myself working for an estate agent in peterborough and keeping my finger on the pulse of the market and the industry is of paramount importance to me but also helps work on our blog too. Allan, thanks for the useful list of real estate blogs. These are some great examples … and I know first-hand that writing great content week after week is not easy. These bloggers put some serous work into their articles. 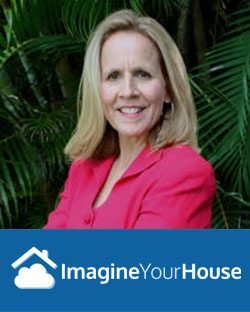 I especially like Lynn Pineda of Imagine Your House. I always enjoy her work. Thanks so much for your comment. I am sure our featured bloggers appreciate your kind words. You provide knowledgeable tips for experienced real estate professionals. Thanks for sharing this useful information. Thanks for sharing the great blog. I found it very informative, Meaningful, beneficial to real estate services. keep up it.